“Starring Tom Hollander alongside Dr. Easy, a medical robot voiced by Geraldine James, the short is adapted from Matthew De Abaitua’s novel The Red Men, set against a pervasive and Orwellian vision of contemporary society: surveillance, automation, biotechnology, and their implications for our humanity. The film has been written and directed by Jason Groves, Chris Harding and Richard Kenworthy (Shynola). Many (most?) 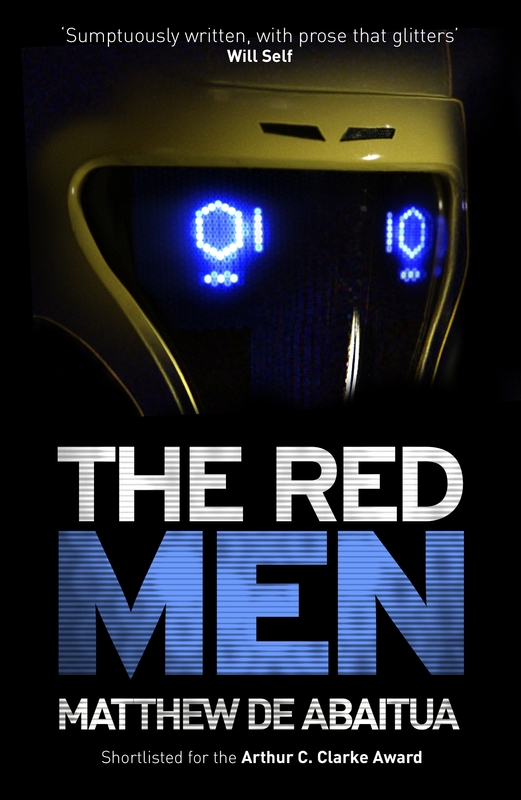 shorts are made with the express intention of getting funding to turn them into a feature length and this is the case here as Shynola look to bring Matthew De Abaitua’s novel, The Red Men, to the big screen. At less than 10 minutes the film doesn’t have much time to get you acquainted with it’s themes or characters, so throws you immediately into a situation where an armed and desperate man is holed up in a flat having taken a few pot shots at attendant police officers. Dr. Easy is a medical droid sent in to defuse the situation and to surreptitiously pass information back to police. The effects in the short are stunning and bring to mind the work of Neill Blomkamp far more than the likes of Spielberg and Lucas. With a soft voice and a calming manner, Dr. Easy is immediately likeable and makes one assume that Disney’s writers had at least a passing knowledge of The Red Men when they created Baymax, the medic-droid and lead character from Disney’s latest animated blockbuster Big Hero 6. But whilst you can see the possibilities for comedy in the short, I would expect the resultant movie to be a much darker adult action-drama (Blomkamp-like) than trying to turn the book into a family film. I am excited to see where Shynola can take the film and will be keeping an eye out for more news, but for the time being the short is available in full below. Have a watch and let me know what you think.